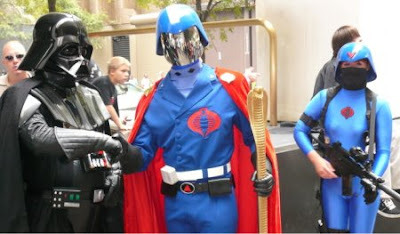 In a bold move, Cobra Commander and Darth Vader have joined forces in an alliance that has many nervous. Attempts to contact G.I.Joe headquarters and a galaxy far, far away have been unsuccessful. Duke and Luke Skywalker have no comment. Baroness also had no comment.